This weekend marks the annual “Wine of the Year” event at the NY Cork Report. The regional wine, beer (and cheese) editors come from far and wide to blindly taste the nominations made in each category. It’s always good to get together with other like-minded people to eat, drink, and share. 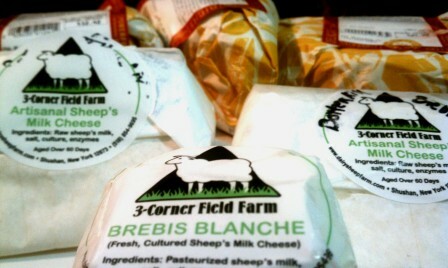 I don’t submit any nominations or categories for NY cheese of the year. It doesn’t seem to fit in this instance. Cheesemakers constantly tweak their recipes from year to year depending on the season, the quality of the milk, etc… A particular growing season has a profound affect on wine, but doesn’t really apply in the cheese world. In my opinion. Some may disagree, and I welcome the discourse, but it doesn’t seem to fit in this case. So rather than select a single cheese at the exclusion of others, I use this weekend to introduce the others to some cheeses and makers that they aren’t familiar with. I will have some additional posts based on the weekend, as well as the reaction to the cheeses from the pic.